We come into the world without teeth. Too often we exit in the same condition. That’s an odd outcome, given that enamel, the white part of the tooth, is the hardest substance in the body. Human teeth are actually as hard as sharks’ teeth, a group of scientists from Germany discovered. Sharks have advantages over us, though. Rows of sharks’ teeth are replaced throughout life, while loss of a permanent human tooth requires a prosthesis in the form of a bridge, crown, implant or dentures. If our teeth are so strong, why then are 19 percent of the population 65 years old and older completely edentulous, or toothless? Sharks again provide part of the answer. They don’t get cavities — and with good reason. Sharks don’t eat sugar, but we do, and apparently, plenty of it. Added sugar, such as table sugar, honey and high fructose corn syrup, are the major culprits here, but all sugars and starches play a role. The World Health Organization recommends no more than 25 grams of added sugar a day, which amounts to 20 pounds a year. Yet, the average American consumes 82 grams a day, or 66 pounds a year. The teeth are covered by plaque a soft, invisible sticky film teeming with bacteria – some good, some bad. Plaque is always in the mouth even after you brush. That’s because bacteria are hardy creatures and multiply very rapidly. The problem begins when you start to eat. When you eat sugars or any carbohydrate or starch, like rice and bread, the bad bacteria start eating too. They feed off sugars, and that combination of sugar and bacteria is not a good thing. 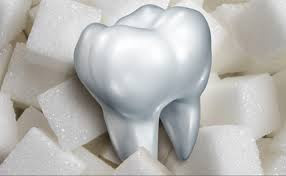 It produces an acid which starts the destructive process of tooth decay called caries or cavities. The problem is that plaque will not remain soft and sticky. If not brushed away after a period of time, it turns into a hard yellowish substance called tartar, which can be removed only by a dentist or dental hygienist. Dental caries is very common in this country. Approximately 91 percent of U.S. adults aged 20 to 64 had dental caries in permanent teeth, according to a 2015 data brief by the National Center for Health Statistics. Apparently, this process starts at an early stage. More than 43 percent of youth between the ages of two and 19 had both treated and untreated cavities in primary or permanent teeth. Research has found that plaque builds up in people with diabetes that is poorly controlled. “People with diabetes are three to four times more likely to have gum disease,” she explained. The reverse is also true. Gum inflammation makes it harder to control diabetes. It’s not just diabetes that’s affected by poor oral health. The heart may suffer as well. Some studies suggest that clogged arteries that contribute to heart disease and stroke may have a connection to gum inflammation, according to the Mayo Clinic. Women with periodontitis have a higher risk of premature birth and low birth weight. Low production of saliva results in a condition known as dry mouth. Patients complain that it feels like “cotton balls in the mouth,” or “everything seems to stick.” Dry mouth is often a side effect of certain medications, such as those to treat depression, high blood pressure, and mental health disorders anxiety and pain. Even over-the-counter drugs, including antihistamines and decongestants can cause the condition. It is more common in older people, but more probably a factor of increased use of medication than passing years. Therapy for head and neck cancers, tobacco, alcohol and marijuana use are other possible causes. General dentists are your primary dental providers who manage your overall dental health. They provide cleanings and x-rays, diagnose dental conditions and perform several dental procedures, including fillings and extractions. At times, however, a specialist is required. Dry mouth is more than just annoying. 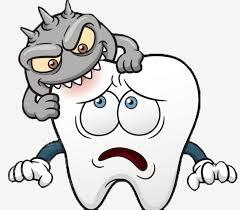 A more serious complication is its link to increased plaque and tooth decay. There’s no moisture to wash away the food, and therefore no protection of the teeth from acid formation. Roughly 30 percent of all tooth decay in older adults is caused by dry mouth, according to the Oral Cancer Foundation. Yet, tooth decay and gum disease are largely preventable. You need a toothbrush, floss and fluoride toothpaste … and you have to use them. It’s easy on the budget. All together that can set you back roughly $10 every three months. Check-ups with the dentist can help spot a problem before it balloons into a more serious condition. In spite of this relatively low cost at-home treatment, cavities remain one of the most common chronic diseases in the U.S.
More than 70 percent of the residents in Massachusetts receive fluoridated water. Studies have shown that people who drink fluoridated water have a lower incidence of tooth decay. Fluoride replaces minerals in the teeth that are lost due to acid formation by bacteria. We can drink the water, but it is necessary to do more than just imbibe and brush. Other habits do their fair share of damage. Smoking decreases the production of saliva, which leads to dry mouth, and in turn the risk of gum disease. But it’s the diet that causes the most problems, and two of the biggest offenders are soda and coffee. Roughly half of the U.S population drinks an average of three glasses of sodas every day. In addition, the average coffee drinker sips two to three cups a day, but coffee is very acidic. That means we are constantly coating our teeth with both sugar and acid, an ill-fated duo. A study published in The Journal of Clinical Periodontology revealed a potential link between Type 2 diabetes and dental hygiene. The results of the study will have a significant impact in the medical community, especially because Type 2 diabetes accounts for approximately 90% of all diabetes cases and impacts over 30 million Americans according to the Center for Disease Control. A randomized clinical study conducted by researchers at the Faculty of Medicine and Health Sciences of the University of Buffalo demonstrated that patients who follow proper dental hygiene routines might experience an improvement in their Type 2 diabetes. The lead researcher, Miquel Viñas, is a professor of Microbiology at the University of Buffalo. Professors Elisabet Mauri Obradors, Albert Estrugo and Enric Jané from the university’s Department of Odonto-Stomatology also contributed to the study. Additional research participants included Alexandra Merlos from the Department of Pathology and Experimental Therapy and José López López, a lecturer and medical director at the Dental Hospital of the University of Buffalo. Insulin is a naturally occurring hormone secreted by the pancreas. Type 2 diabetes is a chronic condition which occurs when the body cannot metabolize blood sugar and becomes resistant to insulin. As a result, blood sugar levels can rise higher than normal. This can lead to serious health problems such as kidney and heart disease and other medical complications. People who are obese, and not physically active, may be at risk for developing Type 2 diabetes. Common symptoms include fatigue, frequent urination (polyuria), weight loss, increased thirst (polydipsia) and hunger (polyphagia), blurry vision and thick darkened skin. However, some patients may never experience noticeable symptoms and do not discover they have the disease until their blood sugars are tested, and a physician diagnoses them. Although Type 2 diabetes is incurable, it can go into remission when patients begin to eat healthy and work out to maintain their blood sugar levels. Some patients may need to take prescribed oral medications or receive insulin injections to help keep their target blood glucose at healthy levels. The researchers decided to evaluate the effect of non‐surgical periodontal treatment on serum HbA1c (hemoglobin A1c or glycated hemoglobin) levels in patients who were diagnosed with Type 2 diabetes. Although previous research had shown a correlation between diabetes and periodontal diseases, the researchers noted there were limited studies about how periodontal disease can affect patients with diabetes. Ninety patients with Type 2 diabetes participated in the single‐masked, randomized clinical study. Over the duration of six months, patients received oral treatments and underwent a control of glycated hemoglobin. The researchers also evaluated the patients for certain types of oral bacteria that are linked to periodontitis. The treatment group received oral hygiene instructions and non-surgical periodontal therapy/SRP using both ultrasonic and hand instrumentation. Meanwhile, the study’s control group received just oral hygiene instructions and had biofilm and calculus removed with only ultrasonic instrumentation. The researchers measured and analyzed the patient’s plaque index, pocket depth, and gingival index at the beginning, middle, and end of the study. Based on their findings, non‐surgical periodontal treatment resulted in a better glycemic status for patients with type 2 diabetes. “The main conclusion of the study,” José López López shared, “is that the non-surgical treatment of periodontitis improves the glycemic status and levels of glycated hemoglobin, and therefore proves the great importance of oral health in these patients.” There was no noticeable improvement in the control group. In conclusion, the study revealed just how much oral health is closely tied to a patient’s overall health.